Julián Castro announced his 2020 bid for president in San Antonio on Saturday. 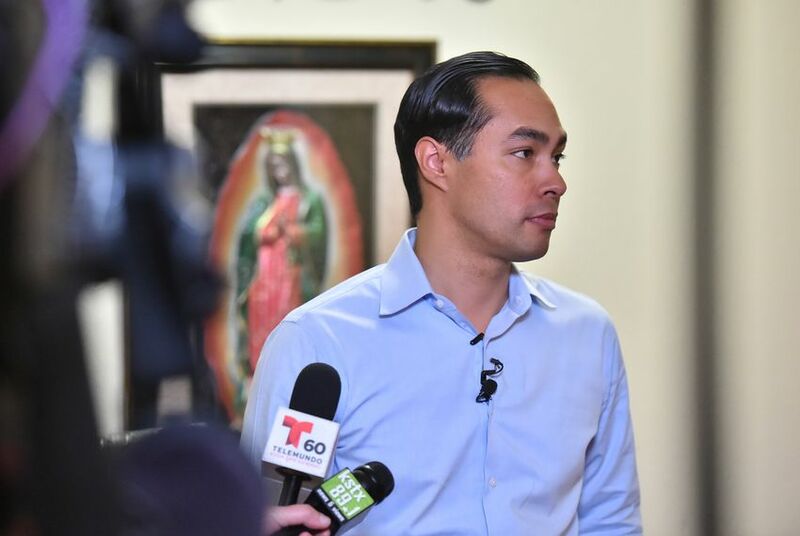 Former San Antonio mayor and U.S. housing secretary Julián Castro announced Saturday morning that he is running for president. Castro revealed last month that he was forming an exploratory committee, Julián for the Future, to consider a presidential bid. He hasn't been shy about his interest in seeking the Democratic nomination, saying at the time: "I'm definitely leaning a certain direction." His twin brother, U.S. Rep. Joaquin Castro, D-San Antonio, told CBS's Stephen Colbert last month "he's gonna run for president." He enters what is expected to be a crowded field of Democrats seeking to take on Donald Trump. He may not even be the only Texan; former U.S. Rep. Beto O'Rourke is reportedly considering a run after his high profile (and unsuccessful) bid for U.S. Senate against Ted Cruz.